Five albums in and The Sounds are still moving and shaking, getting us all into that funky dance groove they do so well. Maja Iversson said of the album that she and her bandmates “wanted to capture what we do best, which is putting on a great live show.” As anyone who has seen them live knows, that is no lie. Their music has always been more electric, more alive in person. Alex Newport (Bloc Party, Frank Turner) produced Weekend in the legendary Svenska Grammafon Studion with one goal: to capture the same energy we’ve seen live onto an album. “Shake, Shake, Shake” and “Take It the Wrong Way” open up the album with the band’s signature punky rock sound (pun intended). “Emperor” veers off towards ’60s rock, complete with harmonies and hand clapping. The title track is deceptively mellow, but you will dance and sing along. “Great Day” is definitely the cuckoo in this nest, but with repeated listens, it somehow sneaks in as if it belongs. “Too Young To Die” has an ’80s throwback vibe to go with its deep thoughts. 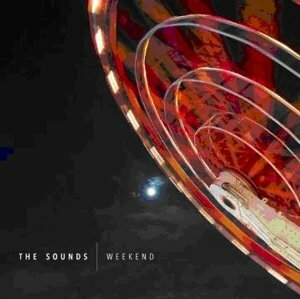 If The Sounds aren’t coming to your city anytime soon, give Weekend a spin – it’s a good alternative to get your fix.